In 2008, the year of the Beijing Olympics and the ‘China Now’ festival throughout the UK, the Museum of the History of Science, Oxford, built an exhibition around a remarkable set of 17th-century Chinese prints. 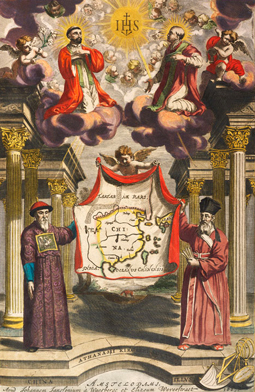 Prepared under the direction of the Jesuit astronomer Ferdinand Verbiest, the set is a key witness to early modern cultural contact between Europe and China. This web version provides pages on Verbiest, the Jesuits in China and the Beijing Observatory in the Online Exhibition, as well as the complete series of Prints produced by Verbiest.